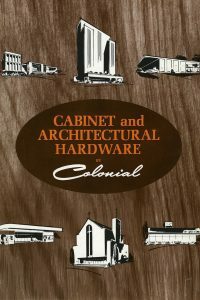 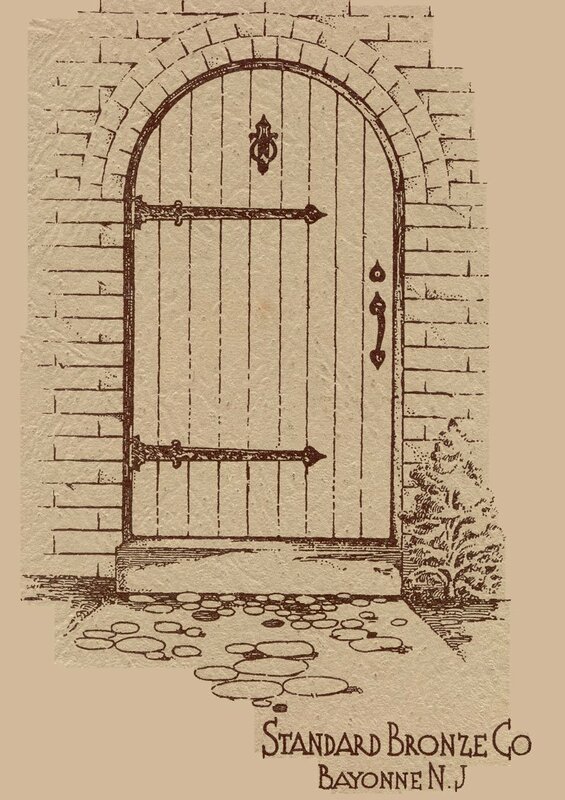 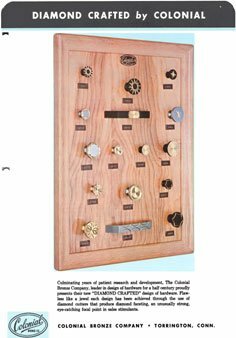 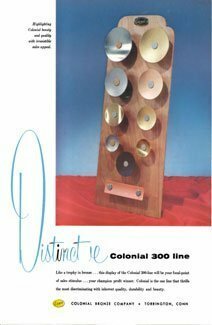 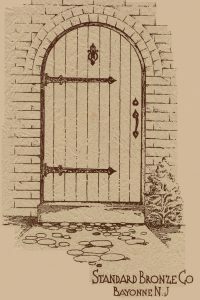 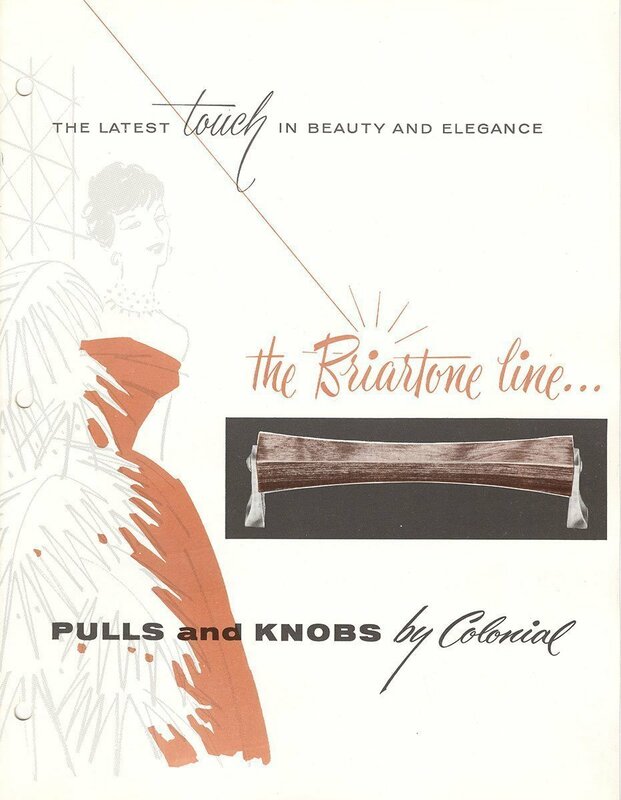 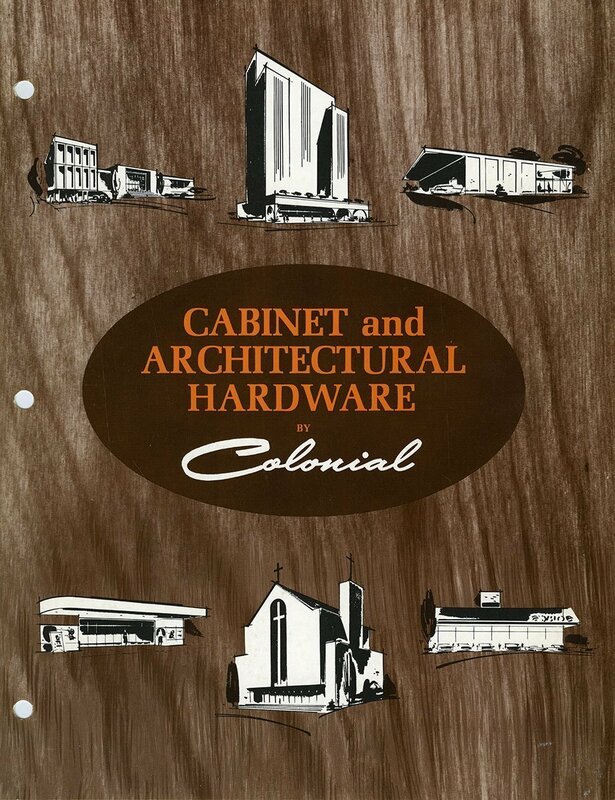 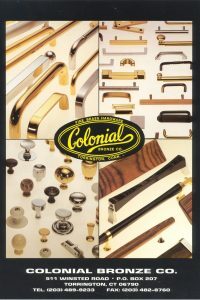 For over 90 years, Colonial Bronze has produced the finest cabinet and architectural hardware available. 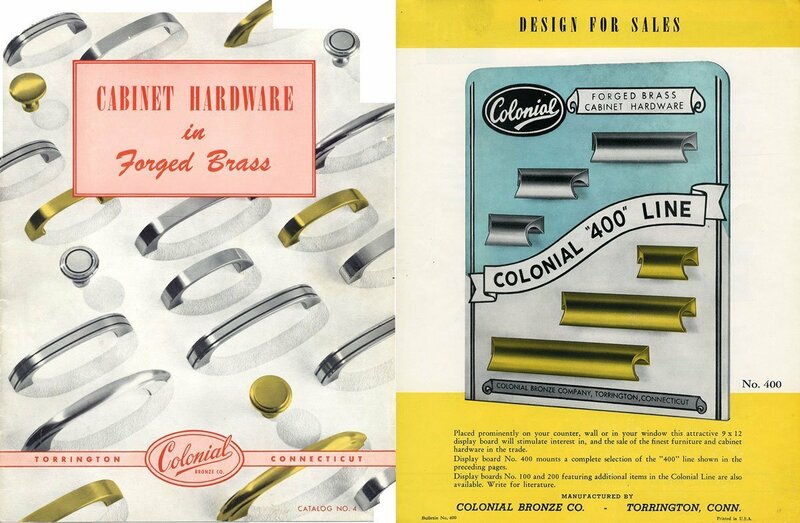 Unlike our competitors, we DON’T import finished hardware from overseas – we never allow anyone else to be responsible for the quality that bears the Colonial Bronze name. 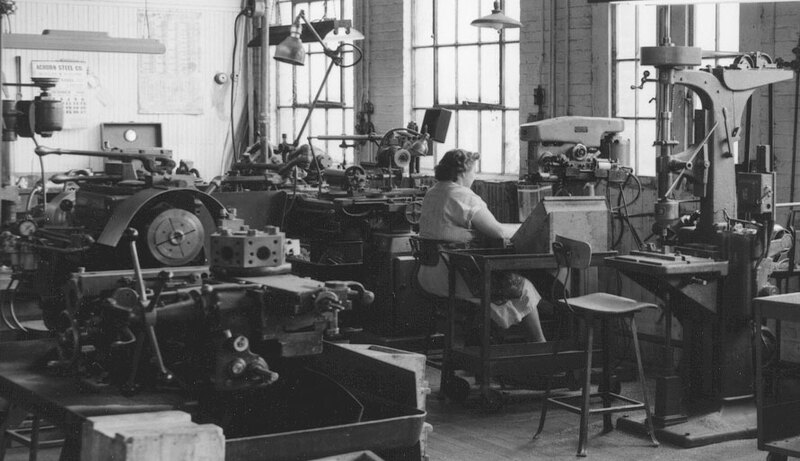 We control every aspect of our production and the level of quality that goes into our products, from start to finish. 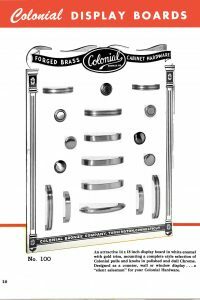 When you order hardware from Colonial Bronze, American craftsmen and women will do their best to deliver the finest products you can find anywhere. 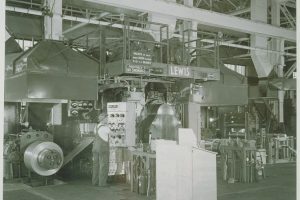 Follow the timeline to learn more. 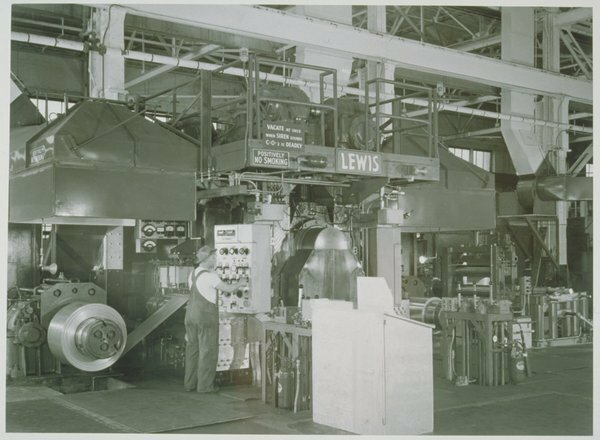 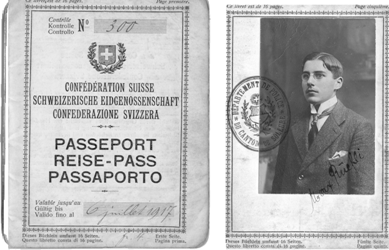 In 1927, two Swiss brothers, Maximillian Fredriche Ruefli and Josef Augustus Ruefli, immigrated to the United States to use the toolmaking skills they learned as apprentices in Switzerland. 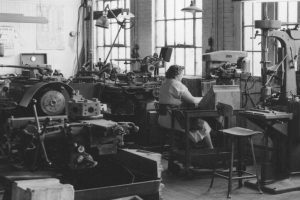 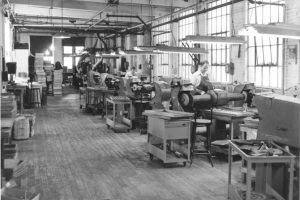 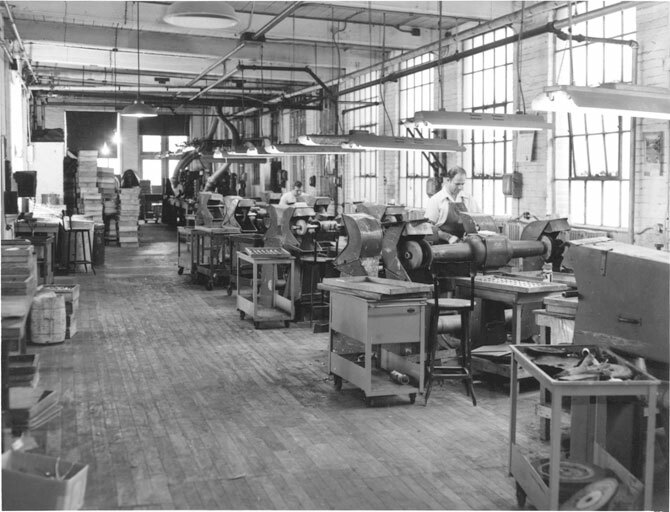 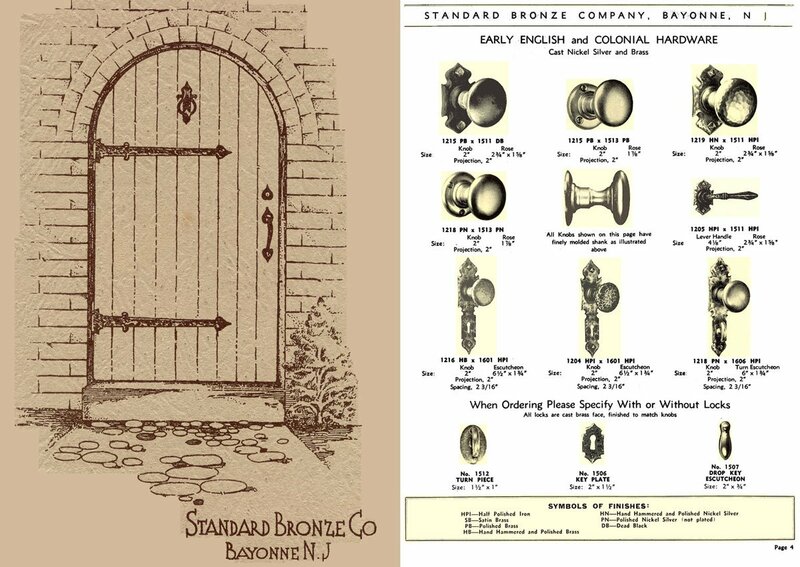 The first jobs they landed in the US were as toolmakers for a hardware manufacturing company in Bayonne, New Jersey – Standard Bronze – a manufacturer of locksets and door hardware. 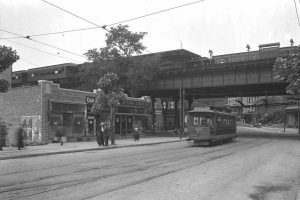 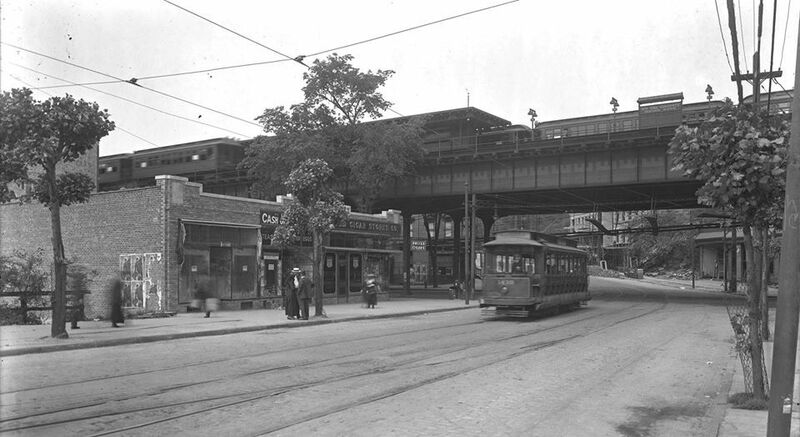 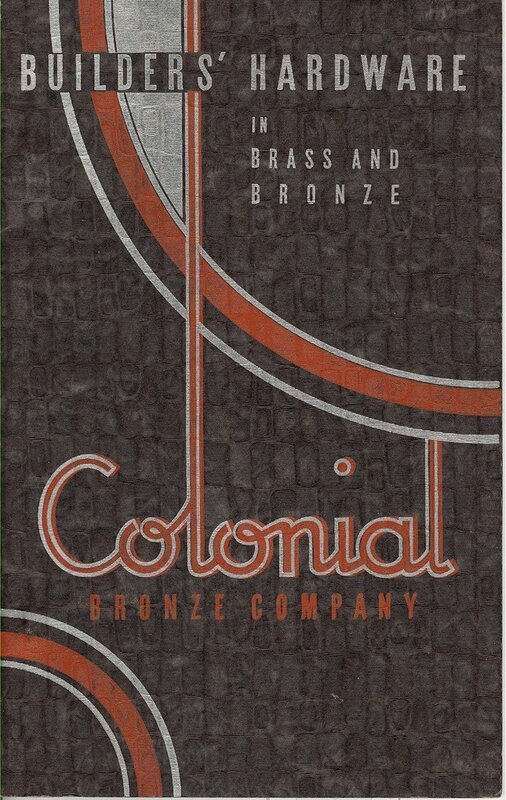 That same year, in 1927, they decided that they should strike out on their own and opened their first factory on Jerome Avenue in the Bronx, calling it (with very little imagination) Colonial Bronze. 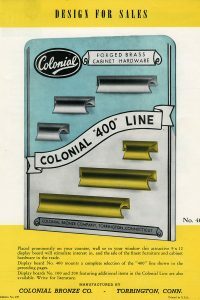 After a few years of driving to Connecticut to get their brass raw material, the brothers moved Colonial from the Bronx to Torrington, Connecticut, in the heart of what was then known as the "Brass Valley," home to nearly all of the country's brass mills. 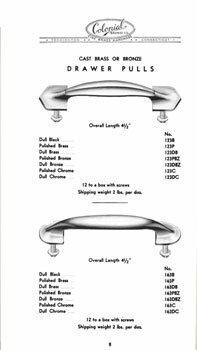 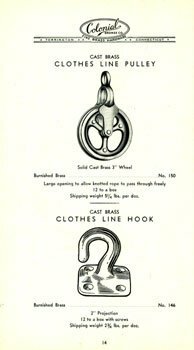 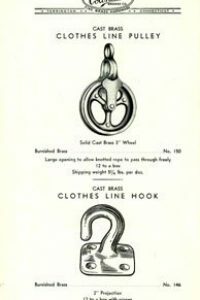 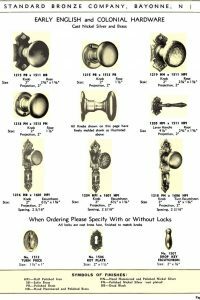 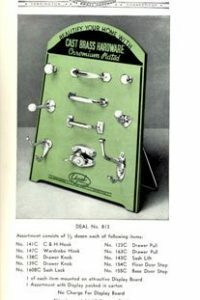 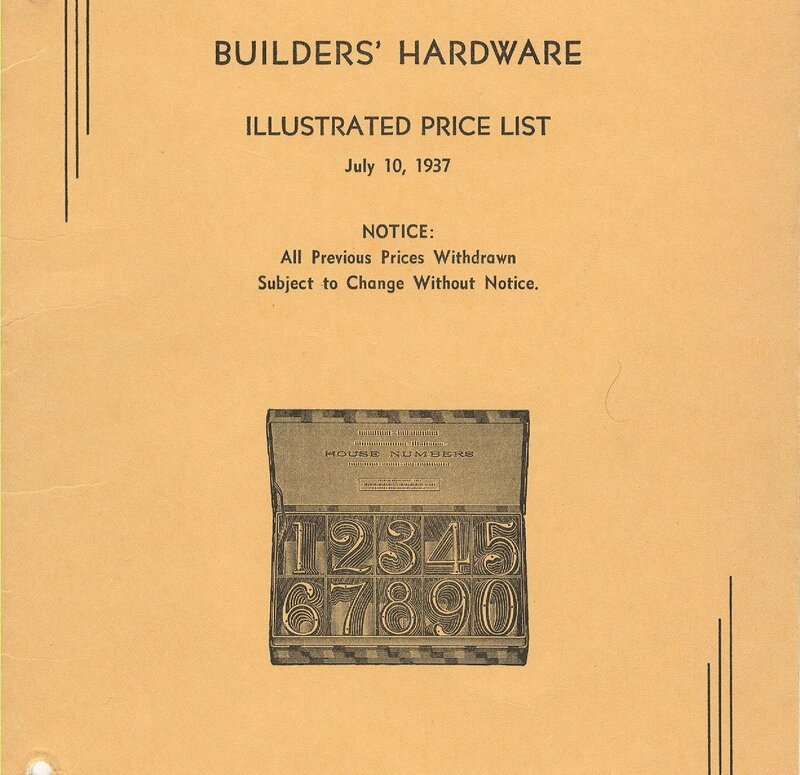 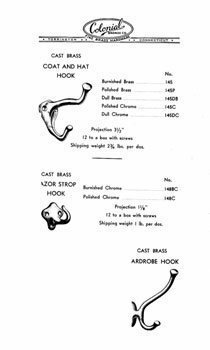 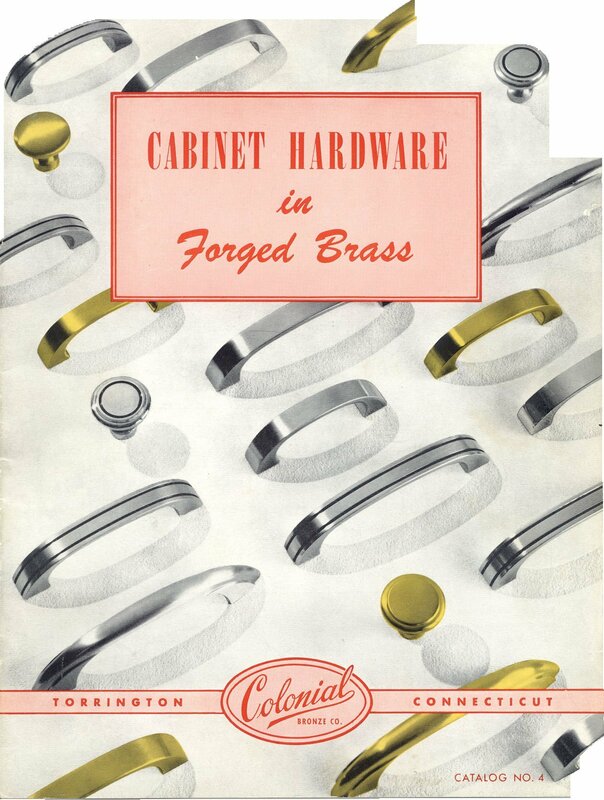 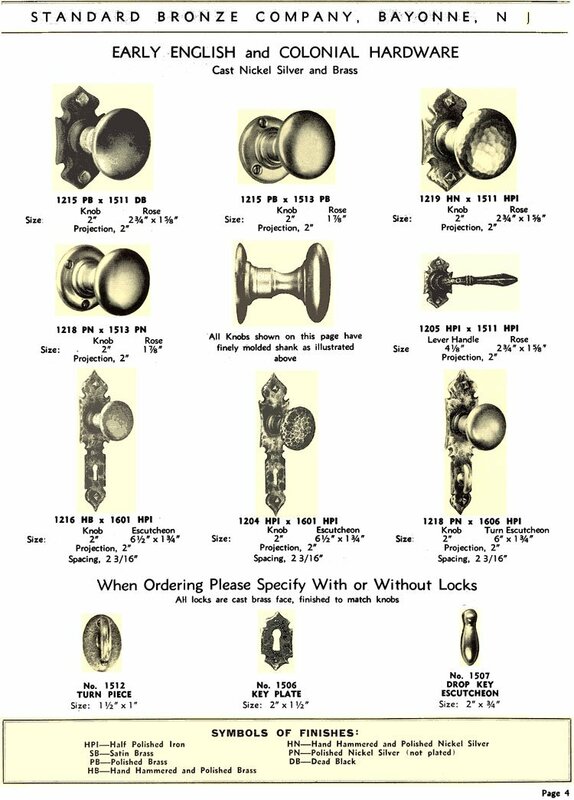 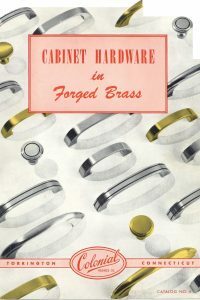 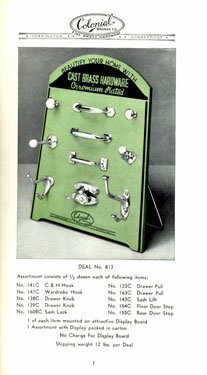 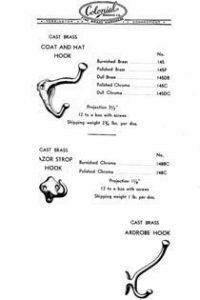 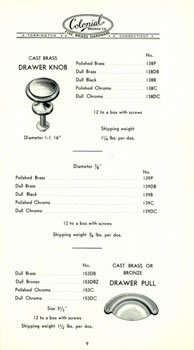 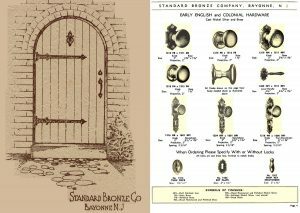 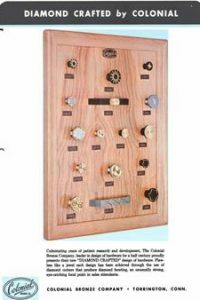 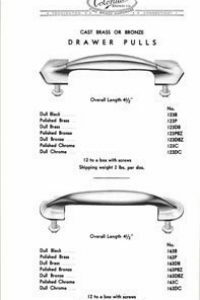 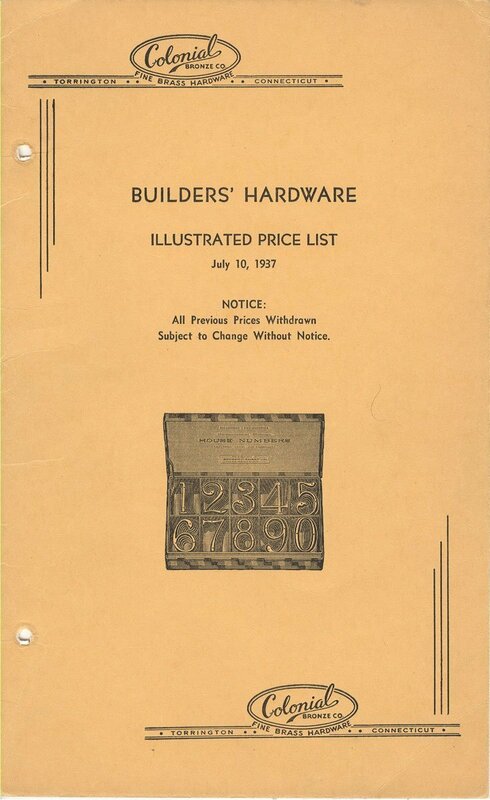 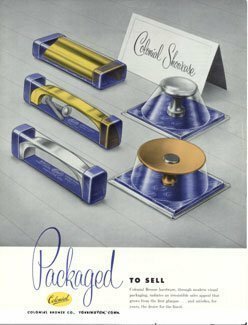 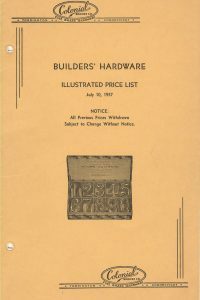 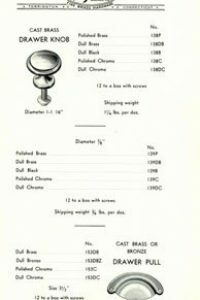 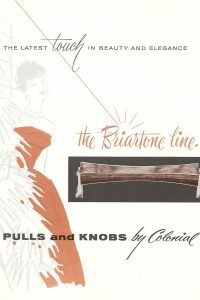 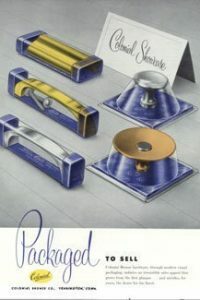 The first catalog offered premium brass hardware products – from handles and knobs to hooks and even clothesline pulleys made of solid brass. 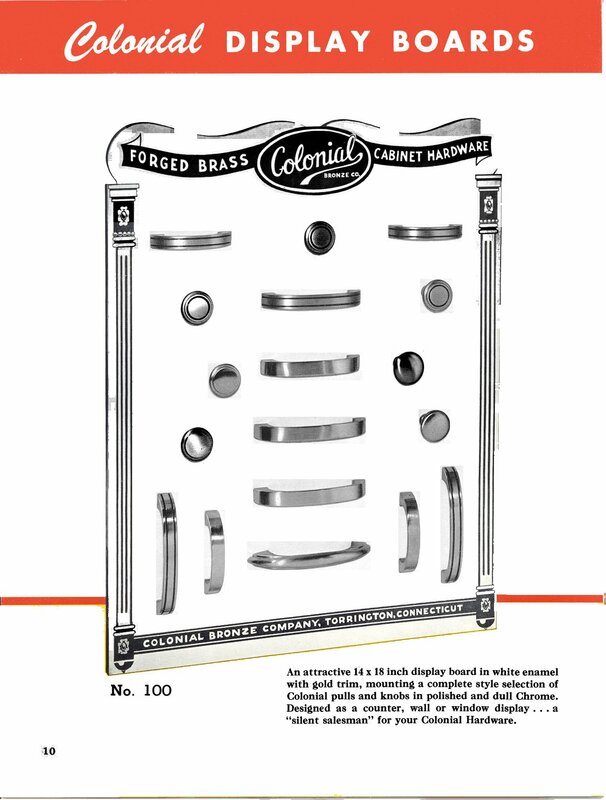 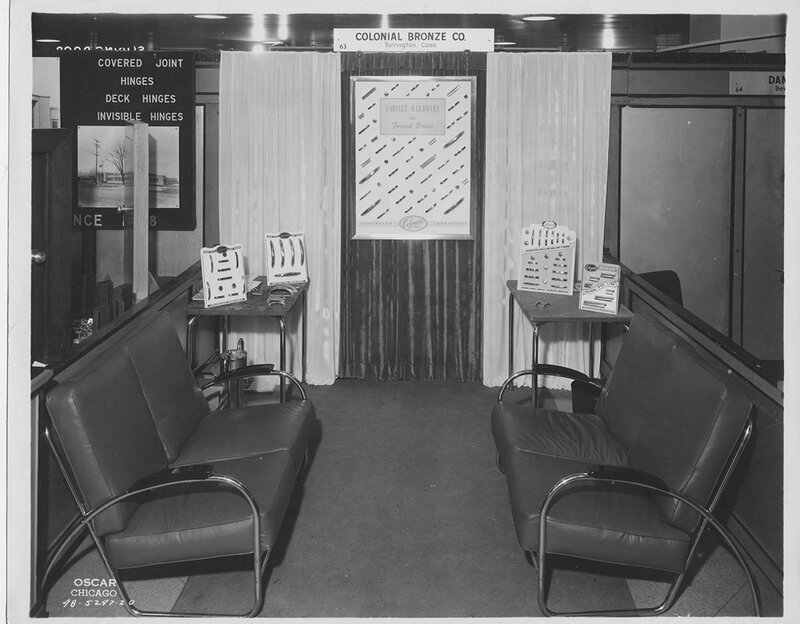 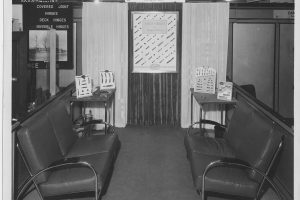 Colonial’s reputation grew and it became a fixture in all the leading industry trade shows (a sign of the times - look for the ashtray at the end of the couch), with its exciting designs. 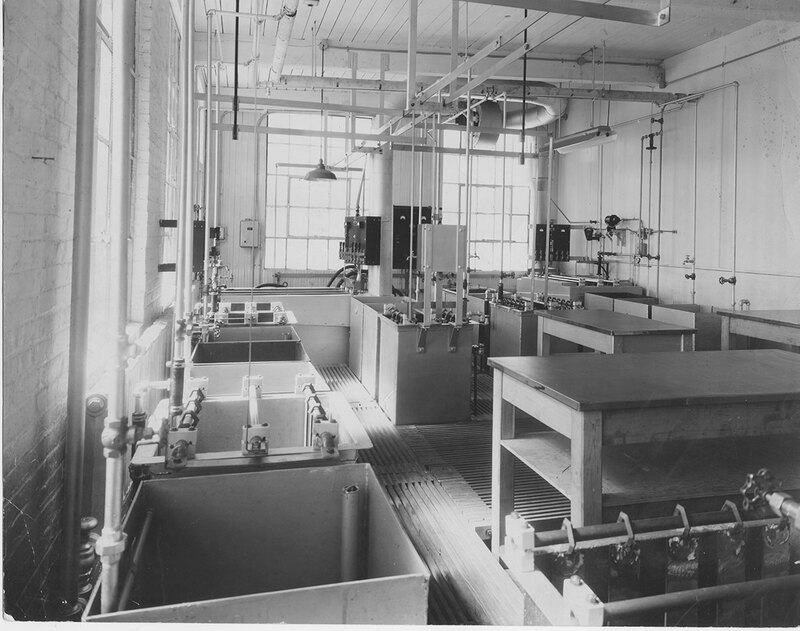 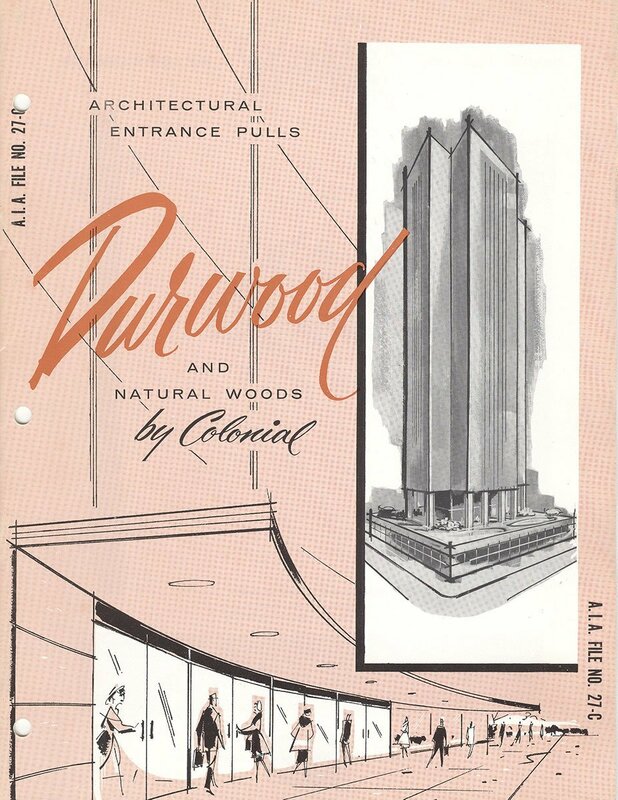 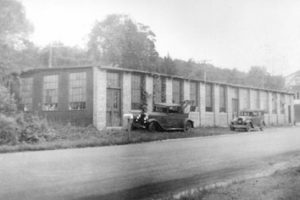 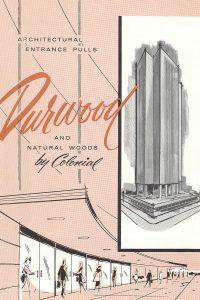 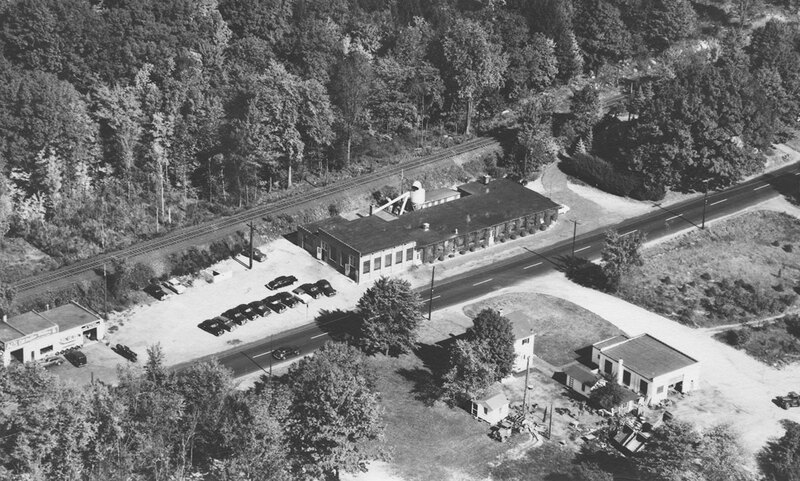 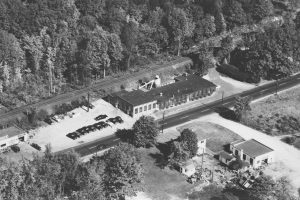 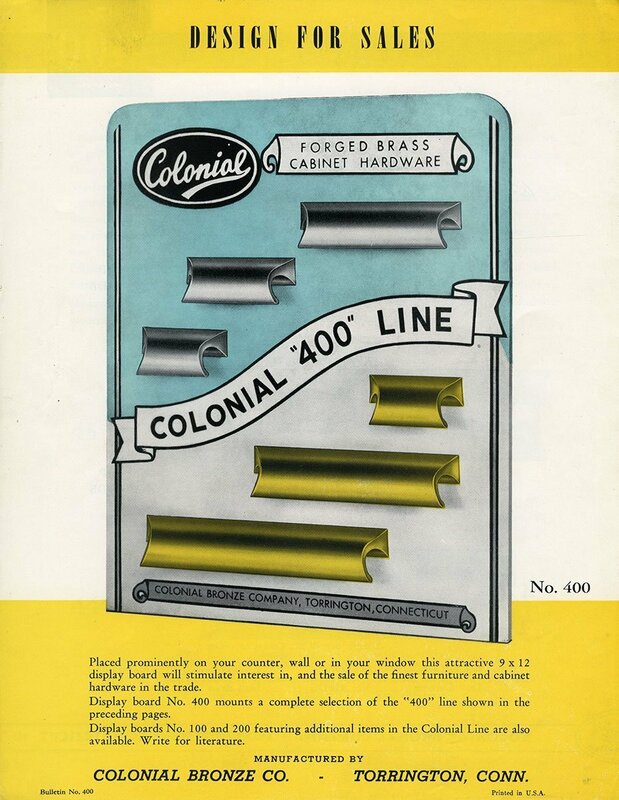 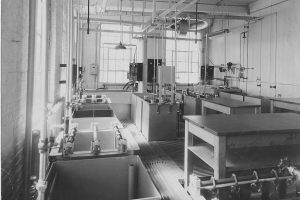 By 1948, Colonial Bronze was expanding again, nearly doubling the factory's original size. 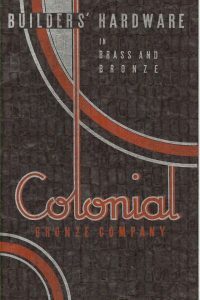 In 1996, Colonial Bronze expanded again. 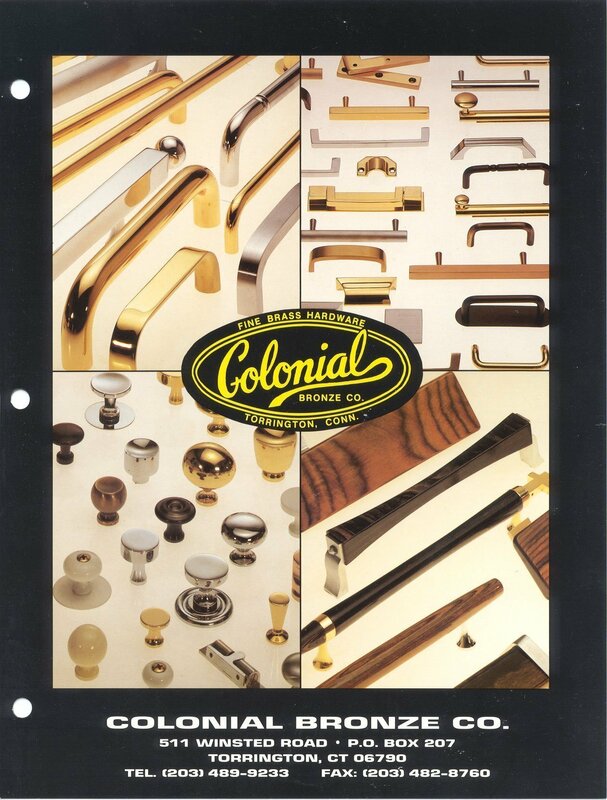 In addition to more than doubling capacity again, Colonial upgraded to state of the art manufacturing facilities.